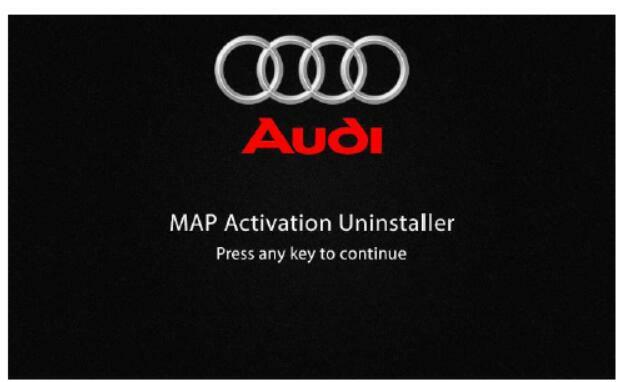 This article show a guide on how to uninstall Audi MMI map activator (Uninstall Keldo’s activator from MMI),hope it helps! Caution: Do NOT insert the SD until MMI has fully booted.The uninstall script only works with SD, it doesn’t work with USB.Remove all devices from car (Others SD, USB…) for avoid errors. Make sure that MMI is fully booted (press all buttons once RADIO CAR NAV MEDIA TEL). Wait until all options are working (no options in gray) even when all options are working wait a minute more. 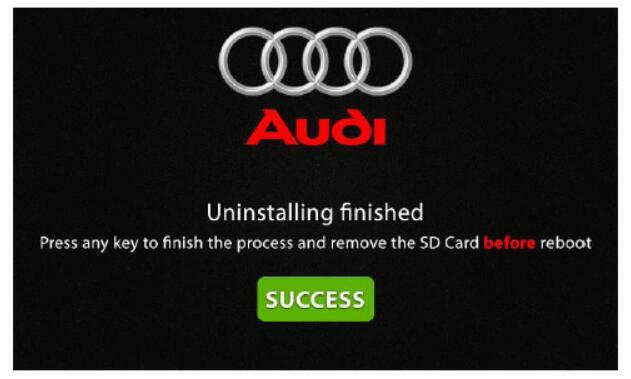 Remove the SD card (for avoid re-run the script) and reboot the MMI.